We help our clients grow their brand socially & leave a lasting footprint on society. We work with our clients to develop innovative campaigns and impactful strategies that make a difference. We work with our clients to target and activate public policy engagement opportunities to inspire real change. Hawkins Mikita is a full service social innovation firm targeted to help you create a sustainable philanthropic and advocacy strategy. Tie The Knot launches collection inspired by Cuba in support of LGBTQ equality worldwide. Jason Mraz performs with students from his Turnaround Arts school in support of arts education. 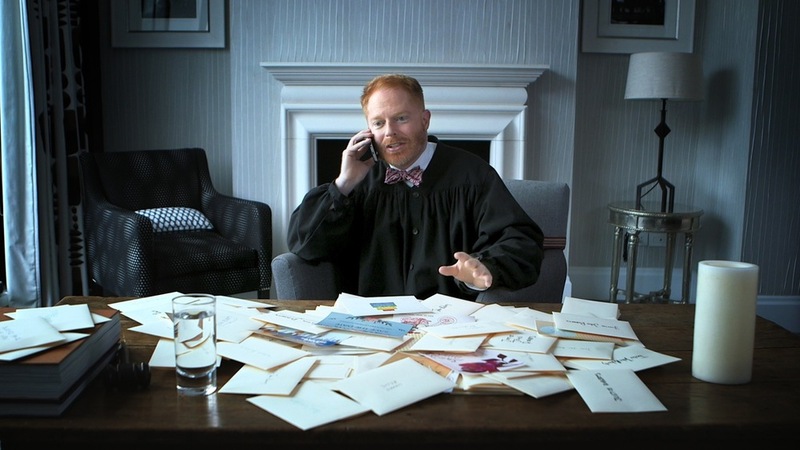 Jesse Tyler Ferguson is U.S. Chief Justice Roberts for the "Supreme Save The Date" campaign in support of marriage equality. 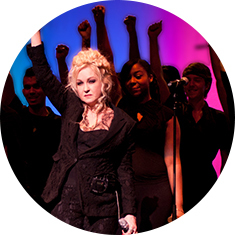 Cyndi Lauper engages with supporters in Los Angeles at her summer salon for The True Colors Fund. We make significant and meaningful impact that has a lasting effect and makes a difference in the communities in which our clients live and work. Both Los Angeles natives and UCLA graduates, Todd Hawkins and Justin Mikita bring together more than 20 years combined experience as highly sought-after consultants, event producers, and relationship managers. President of the California African American Museum as appointed by Governor Jerry Brown, Todd is the founder of The Todd Group - one of LA's leading event management firms - and served as a Southern California co-chair for the Young Professionals Finance Committee (Gen 44) to support the re-election of President Barack Obama. Todd continues to be an active consultant in several local, state-wide, and national elections. Justin Mikita, named a 2014 Tastemaker by Out Magazine, served as development Director of the American Foundation for Equal Rights, which restored marriage equality in California with the U.S. Supreme Court's Perry decision. Justin sits on the board of directors for the Human Rights Campaign - the nation's largest civil rights organization working to achieve equality for lesbian, gay, bisexual and transgender Americans. Bridging the gap between government, non-profit, corporate, and entertainment industries, Todd and Justin founded Hawkins Mikita to develop the intersection of celebrity influencers, philanthropy, and social change.